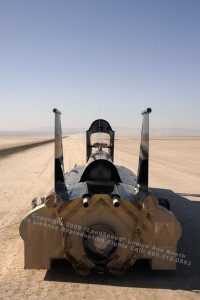 Boiling across Edward’s Air Force Base in California on Tuesday, August 25th, at 8:19am (PST) Charles Burnett III successfully broke the land speed record for a steam powered car – which has stood for more than 100 years – achieving an average speed of 139.843mph on two runs over a measured mile. First run completed, the crew prepares Inspiration for her return world record run. 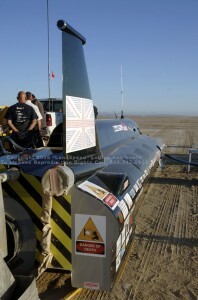 Project Manager Matt Candy said: “The first run took place at 7.27am when the air temperature was a cool 63 degrees Fahrenheit, the team turned around the car in 52minutes (with just 8 minutes spare) in preparation for its return run. The British Steam Car takes 2.5 miles to accelerate and after the measured mile, a further 2.5 miles to decelerate – so each run was over 6.5 miles. The FIA requires that the return run takes place within 60 minutes. The times of the two runs are then averaged to obtain the official recorded speed. Compared to the testing we did in Britain, the British Steam Car ran 12 times the distance and twice the maximum speed ­– all within one hour. It’s been a huge challenge for all. Weighing three tons, the sleek 25-ft British Steam Car is made from a mixture of lightweight carbon-fiber composite and aluminum wrapped around a steel space frame chassis. It is fitted with 12 boilers containing nearly two miles of tubing. Demineralised water is pumped into the boilers at up to 50 litres a minute and the burners produce three megawatts of heat. 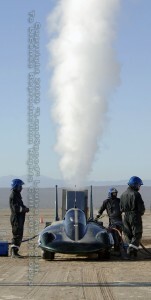 Steam is superheated to 400 degrees Celsius which is injected into the turbine at more than twice the speed of sound. 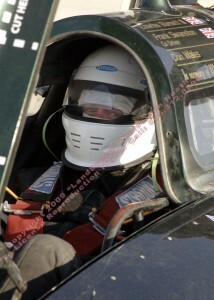 Driver Charles Burnett III was born in England in 1956 and educated in South Africa and the United States. 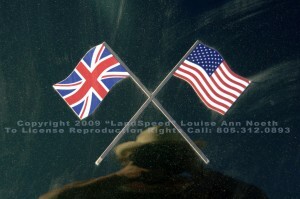 As a legitimate tri-national – his mother was Canadian and his father American – he inherited a love for travel and all things mechanical from his father, who raced hydroplanes and restored Hudson automobiles. The team acknowledges the achievements of the “Barber-Nichols Team”. 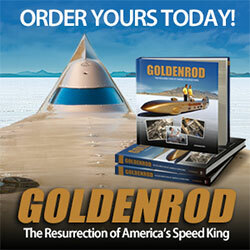 Their vehicle ‘Steamin’ Demon’ is/was currently the fastest steam car in the world. In 1985 The Barber-Nichols Team carried out three successful passes and achieved an American National Record at 145.607mph. There was no attempt to establish an FIA record. 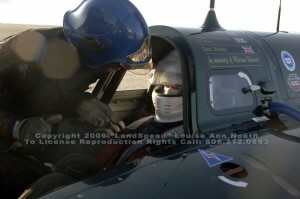 However, the British Steam Car team recognized this speed as the record to exceed. Check Back later for detailed commentary on the project.